Hortencia Romero has a background in communication sciences, the various sectors of the creative arts and music. As a communicologist she has excelled in the cultural forum within various media outlets. In the area of creative endeavors she has developed cultural management, artistic coordination and business plans for different artistic and cultural projects. 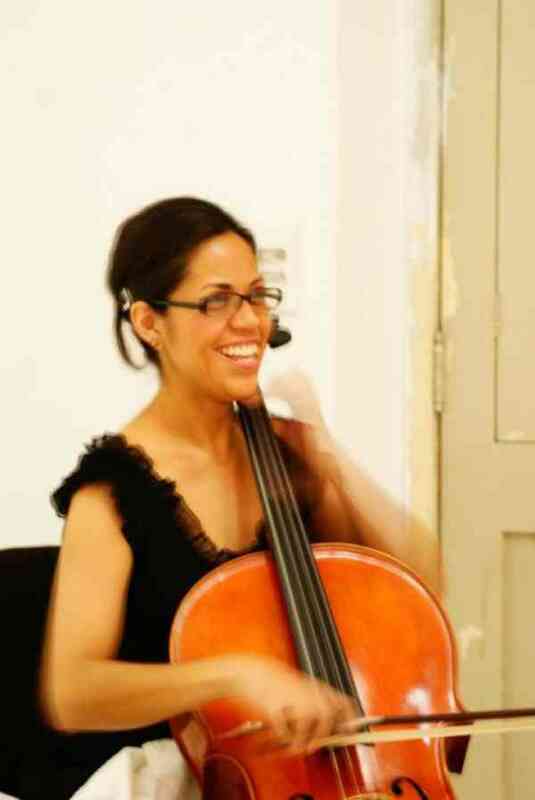 As a cellist she has studied with Fernando Meza, Juan Hermida, and Gustavo Martín at the University of Guadalajara, the University of the Americas in Puebla, Mexico, and the National Autonomous University in Mexico City. In addition she has taken courses in interpretive refinement with Ildefonso Cedillo, Ramon Jaffe, Costinel Florica and the renowned violinist Cuauhtémoc Rivera. She was first cello for the University of Guadalajara symphony orchestra and the chamber Orchestra at the University of the Americas in Puebla, Mexico. She has also performed as a soloist in the Jalisco State Philharmonic Orchestra. As an instructor she specializes in the musical education of small children utilizing the Suzuki method. She is the founder and representative of the Nima string Quartet.